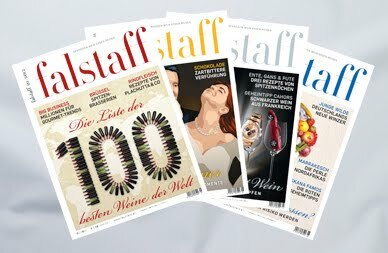 At this year’s ProWein in Düsseldorf, the Austrian wine magazine Falstaff published its list of the world’s 100 best wines (since the year 2000). On the surface this looks like the Wine Spectator Top 100, with the only difference that it is a list compiled with an European perspective. But this is wrong. For the Wine Spectator ranking, a number of factors come into play so that you may find a mass wine for $ 10 at the top. The Falstaff Top 100 list, however, is exclusively quality based. No wonder that the list is dominated by Bordeaux and Bourgogne. As usual, white wines are under-represented – just 23, opposed to 77 red wines. But: out of the 23 white wines, no less than 9 wines come from Germany. And: all are Riesling wines and most of them are dry.